Minnequa Works Credit Union understands and places the highest priority on protecting the privacy of our members. Information about your accounts is necessary for the efficient conduct of business and essential for meeting your financial needs. To maintain your privacy, we periodically review and update our policies for protecting your privacy as well as comply with state and federal laws. We strive to ensure that our records contain accurate information about you. If you see any inaccuracies in your statements, please call (719) 544-6928. We will promptly investigate and make any necessary changes to update your records. We restrict access to your personal and account information to those employees who need to know that information to provide products or services to you. Our employees access information about you when needed to administer your accounts, to provide requested services, or in response to a legally valid outside request or order (such as a subpoena). In addition, our employees may also access information to exercise our rights under the law or pursuant to any agreement with you. We maintain physical, electronic, and procedural safeguards that comply with federal regulations to guard your nonpublic personal information. Information about your transactions with us, our affiliates, or others; and information we receive from a consumer reporting agency. 4) the disclosure otherwise is lawfully required or permitted. Sharing Information with Third Party Service Providers. We may enter into agreements with other businesses to provide support or services to us or for one or more of our products, such as mailing houses that assist us in delivering your statements and other materials. Under certain circumstances we may also enter into joint marketing agreements with other financial service providers, such as mortgage bankers, securities broker-dealers, and insurance companies and agents. Before entering into relationships with such entities, we require them to agree to safeguard our members’ information and to comply with all applicable privacy laws. Sharing Information as Legally Required or Permitted. Pursuant to the Fair Credit Reporting Act (“FCRA“), it is the Credit Union’s practice to share Transaction/Experience Information (as defined by the FCRA) with its affiliates and non-affiliated third parties to the extent permitted by law. Furthermore, we may also disclose nonpublic personal information about you to other non-affiliated and affiliated third parties not described above as permitted by law and by our policies. Because of the limited way we share information with non-affiliated and affiliated third parties, we are not required to provide you with the opportunity to opt-out from the disclosure of information to such third parties. If you decide to terminate your membership or become an inactive member, we will adhere to the privacy policies and practices as described in this notice. At our web site, you may apply for accounts and services and you may communicate with us via e-mail. 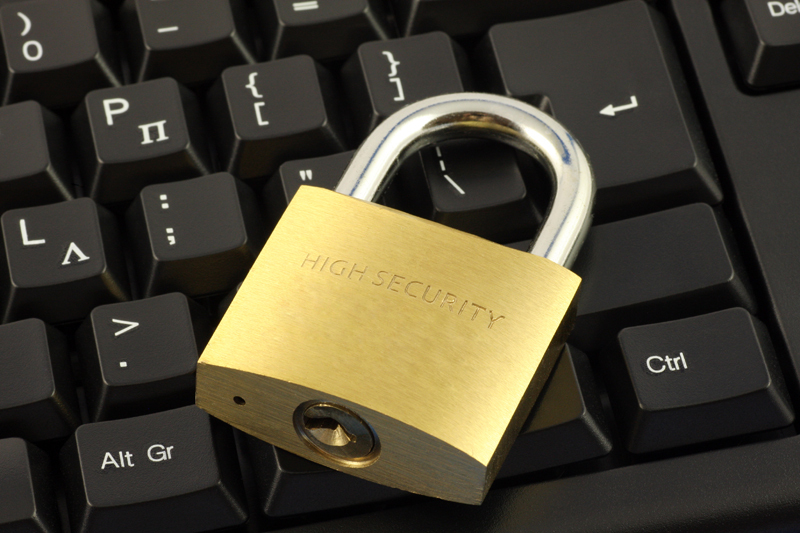 To protect the information you provide us online, we use multiple levels of security. The application information we accept online and our Home Banking service relies on industry standard “Secure Sockets Layer” (SSL) encryption to secure your transaction information and communication. When you visit our web site, you can access site information, without revealing your personal identity. However, in order to help us identify you for future site visits, we use “cookies” to track your visit. A “cookie” is a piece of information that our web server stores on your computer hard drive and retrieves later. The cookie will not request, require or collect personal identity information and you remain anonymous. Your member information is not accessed by or stored within a cookie in any way. We do not knowingly solicit or collect data from children and will not knowingly market to children online. We recognize that protecting children’s identities and privacy online is important and that responsibility rests with us and with parents. We may provide links to other companies. Should you choose to link to web sites not controlled by the credit union, we are not responsible for the privacy or security of these sites, including the accuracy, completeness, reliability or suitability of their information. If you are asked to provide information on one of these web sites we strongly urge you first to carefully study their Privacy Policies. We understand that there are certain third parties with whom you do not wish for us to share your information. If you wish us to restrict information we share with companies we own or control (Affiliates): you have the right to opt-out at any time. If you wish us to restrict information sharing with other companies we do business with to provide financial products and services, you have the right to opt-out at any time. If you wish to exercise any of your opt-out rights as described above, you may opt-out by contacting the credit union. Your opt-out will remain effective until revoked in writing. Be advised that even if you opt-out, we will continue to share your information to conduct our business as described above, to the extent permitted by law.